Dr. Shelley A Young, MD is a Doctor primarily located in Belleair, FL, with another office in Seminole, FL. She has 33 years of experience. Her specialties include Obstetrics and Gynecology. She speaks English. The overall average patient rating of Dr. Shelley A Young is Great. Dr. Shelley A Young has been rated by 18 patients. From those 18 patients 7 of those left a comment along with their rating. The overall rating for Dr. Shelley A Young is 3.6 of 5.0 stars. Dr. Shelley Young has been taking care of me since we moved to this area, I've never felt so comfortable with a Dr. in my life since meeting Dr Young. I don't feel rushed and she explains things in such detail. You can tell she really cares about her patients and genuinely loves what she does. Very friendly staff also! They make you feel comfortable and welcome. Doctor Young is pleasant and easy to connect with. I feel like she cares. She picked up on a rare condition that others had mis-diagnosed. The only issue I have had is with her staff, with getting prescriptions renewed. Faxed prescription renewal requests from the pharmacy are not responded to. I have to call the office and speak to her nurse. Sometimes we play phone tag. This doctor came highly recommended, but her bed side manner and is only interested in what SHE wants for her patient, not for me. She does not know me at all, maybe for twenty minutes, if that. I have had NO problems, with my previous hormones, and she would NOT refill a perscription that I have been on forever, I am 70 and only take the lowest of dose three times a week, so whats the problem. Call my doctor up north, he sees no problem, but since I am living now in fla he cannot write a script. I guess I have to find a new obgyn who will WORK with ME. As a new patient I found Dr. Young's manner to be aloof and dismissive. When I returned a second time, she was hurried and abrupt in response to all questions. While I do not expect to have a warm relationship with my physicians, I do expect them to act cordial for a rushed HMO twenty minute visit. I am waiting six months for an appointment to see someone else. Great, until an issue arises. When we (My GF and I) first met Dr. Young we were impressed with her bedside manner and how at ease she made everyone feel during the uncomfortable parts of the exams. While everything was going o.k., she was great to work with. We unfortunately found that we have a child with a tear in his/her abdomen which will require a different type of OB given the complexity of the pregnancy. This is where Dr. Young failed dramatically and showed what I fear are her true colors. It started the day we found out about the issue and continued from there. First, it was a "deer in the headlights" look at us when she was told by the Sonogram Tech about what she had found, next it was the falling over herself trying to provide any semblance of information to us about what was going on, and lastly it was the dismissive nature she provided to show us she would no longer be working with us. As you can imagine, my GF is destraught enough as it is by the news, but the complete lack of caring in how it was presented to her, the lack of any real information regarding survival rates, etc.. and the "I only want to deal with problem free pregnancies" that we got from this doctor were simply aweful. I would not recommend her to anyone, especially if you are an older, expecting mother. Take a minute to learn about Dr. Shelley A Young, MD - Obstetrics and Gynecology in Belleair, FL, in this video. Dr. Shelley A Young is similar to the following 4 Doctors near Belleair, FL. 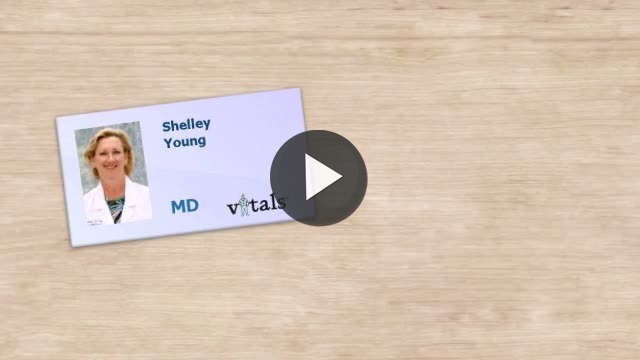 Have you had a recent visit with Dr. Shelley A Young? Select a star to let us know how it was.